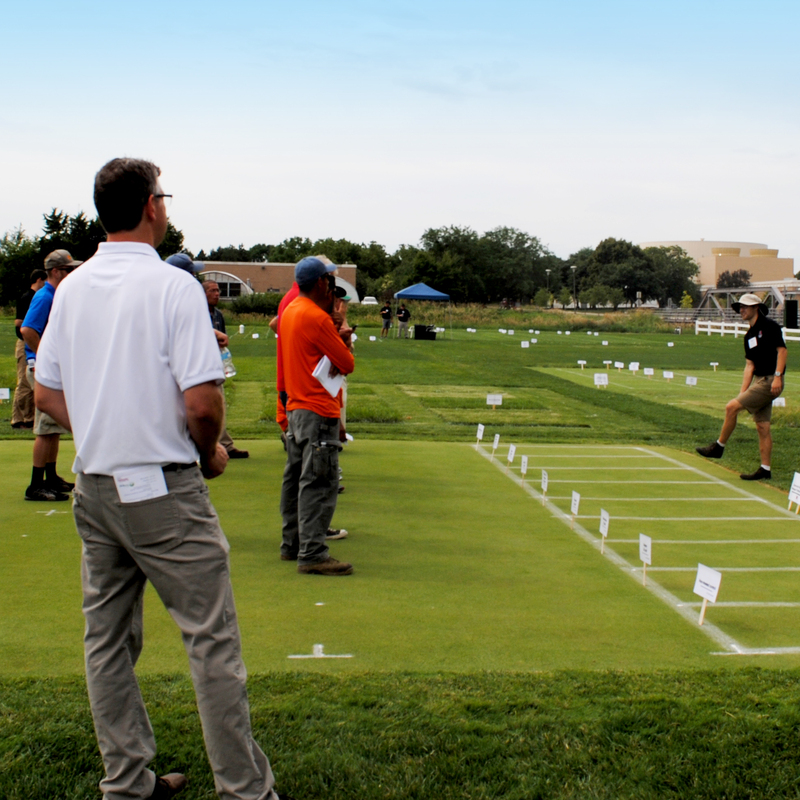 The Nebraska Turfgrass Research Field Day is July 18 and will offer sessions on a wide range of turfgrass research and management topics. Registration opens at 7:45 a.m. at the East Campus turf plots at 38th and Huntington Avenue in Lincoln. Parking on East Campus is included with registration. Parking attendants will help direct participants to the nearest available parking lot. A morning trade show will run from 7:45–8:45 a.m. and includes free coffee and rolls. The education tours begin at 9 a.m. and run until lunch at 11:45 a.m. Presentations include performance of extended release fertilizers, Kentucky Bluegrass test evaluations, Japanese beetle biology and management, weeds, buffalograss collection evaluations, using thermal imaging to schedule irrigation, controlling dry spots, and buffalograss seed treatments and breeding. Gourmet hotdogs will be served for lunch and a new putting game will be offered on the sand research green. At 1:30 p.m. the field day will move to Jim Ager Memorial Golf Course in Lincoln. Afternoon topics will focus on highly-managed turf sites. The field day will end with a two-person, best ball tournament at Jim Ager. This nine-hole, par-three, golf course is maintained by University of Nebraska–Lincoln turfgrass students. Register and find more information at turf.unl.edu.